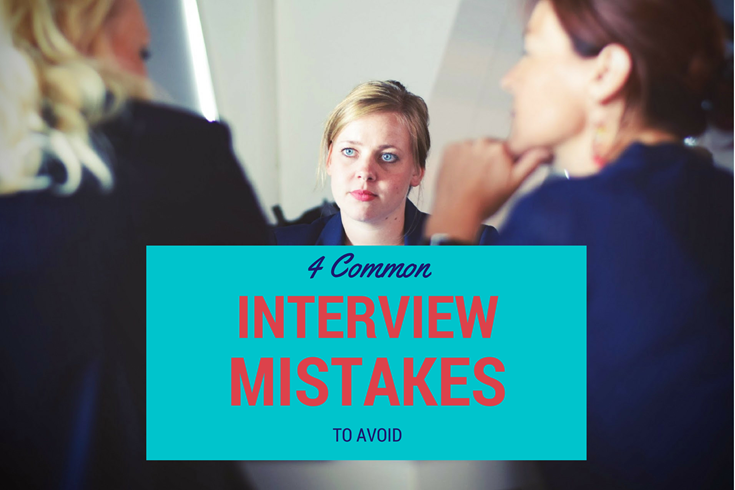 What are some of the most common mistakes people make in job interviews? originally appeared on Quora — the place to gain and share knowledge, empowering people to learn from others and better understand the world. But once faced with that question in the interview, they freeze up. I’ve seen it time and time again, both in mock interviews and in actual interviews. When I pose that question, I get the deer-caught-in-headlights look staring back at me. The candidate has no idea where to start or what to include in their answer. Second, candidates don’t provide real-life examples to illustrate their answers. Most people just answer questions in generalities without telling stories about how they’ve demonstrated their skills in the past. Anyone can speak in generalities. But your own personal stories are what set you apart and make you memorable to the interviewers. Provide specific examples of times when you’ve demonstrated your skills in the past even if the interviewer doesn’t ask you to provide an example. Whenever I’ve done mock interviews with clients, I point out to them where they need to insert an example. Even then, when they try again, they think they’re providing an example when in actuality they’re still speaking in general terms. When I share with them how their response sounds and give them an example of what I really want to hear, they finally get it. An interviewer isn’t going to do that kind of “hand-holding” in an interview. They’ll simply move on to the next question. You can’t take that kind of risk. Third, most candidates don’t bring a professional portfolio with samples of their work to share. Or, if they do, they don’t present them properly. Always have on hand a few tangible samples of past work. Pull it out and show it when you’re telling your specific story of how you’ve demonstrated that particular skill. Think of it like “show-n-tell” from your elementary school days! You can also house some works online in a digital portfolio. Include on the bottom of your resume the statement, “Professional portfolio available for review.” This will make your resume stand out as well. Fourth, most candidates don’t take the time to have questions of their own prepared. Interviewing is a two-way street! They expect you to have questions of your own, and if you don’t, that makes you look bad. Not having questions indicates you have no real interest in the job. To know what kinds of questions to ask, check out this previous Quora answer: Lori Bumgarner, M.Ed.’s answer to What are some interview hacks? For more interview tips and advice, check out my on-demand program Steps to Acing the Interview and Reducing Your Interview Anxiety. Originally published at www.quora.com on March 14, 2017.